The End of Europe wrapped up a Spreadsheet? The European Union’s (EU) Refugee and Asylum Policy is under surveillance. If the coherence of European policy is judged by the success of its relocation program a failure seems inevitable. A visit at EASO’s Headquarters in Valetta, Malta, leaves more questions open than answered. There is a large grey structure in the docklands of Valetta harbour on the island of Malta. It serves as storage and office facility for the shipping industry and, somewhat hidden, shelters the European Asylum and Support Office (EASO). Arriving on a scheduled visit as part of a field trip to explore the historical and contemporary impact of migration on the Maltese archipelago in February 2017, reception there is friendly but also a bit indifferent. An assistant of EASO takes us straight away to a meeting room to see the official presentation on EASO’s work. We are checked in by security but no one really seems to care who we are. Historians and Migration Scholars. While most of what we are told can probably be found on EASO’s official website certain statements deserve some critical reflection. EASO became operational in 2011 and is responsible for supporting EU Member States in running their asylum systems. EASO also provides support in areas with an extreme influx of refugees, at this time, in Italy and Greece. Both states have called EASO in to handle the current situation. One of its main fields of action is a relocation program stretching from September 2015 to September 2017, aiming to handle 160.000 cases. 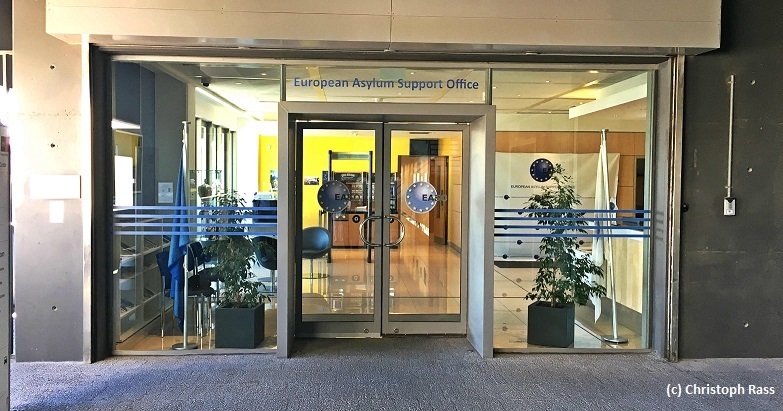 Relocation is an offer to register with EASO – including fingerprinting and data transfer to EURODAC – in a refugee sheltering facility in Greece or Italy or after being transferred out of Turkey. Refugees can qualify for the relocation program if they come from countries whose nationals’ asylum claims currently have a high approval rate and if the individual case is given a good prognosis for successful integration. Once registered, refugees in the relocation program are transferred to an EU Member State that accepts them and takes charge of further proceedings. Refugees however have no choice as to what country they are being taken. As of February 2017, EASO has relocated about 13.000 refugees. That accounts for about 8% of the 160.000 relocations planned to be completed by September 2017. EASO faces an uphill battle with roughly seven months to go. This very much looks like a failed program. Discussing the reasons, the desperate stance of European Migration Policy becomes obvious. On the one hand, refugees are blamed. It seems, says EASO, to have been a problem that candidates for relocation feared they would be registered and then deported out of the EU by a European Agency. On the other hand, a table detailing support figures by EU Member States (and also Switzerland, Lichtenstein and Iceland) unveils a bleak balance. France and Germany took around two and three thousand refugees within the relocation scheme, the Netherlands, Finland and Portugal more than a thousand. But on the other end of the scale some countries are in the double or single digit range, the entire Visegrad-Group has accepted 28 refugees. Switzerland ranges among the top ten receiving countries and Lichtenstein does better than Hungary and Poland who accepted no refugees. Britain has offered no places and, so we hear, has never sent any experts to EASO even before the dawn of Brexit. To put this into perspective: in 2015 the city of Osnabrueck, urged by civic activism, inquired of EASO ways to relocate 50 refugees from Idomeni in addition to the about 4.000 refugees the city had welcomed since 2014. The inquiry led to nothing – but could have resulted in helping almost twice as many people than the Visegrad-Group has accomplished to offer refuge so far. The EU has no leverage to increase the number of places EU Member States are willing to offer lacking political means and being tied down by political compromise. A spreadsheet seems to foretell the humanitarian, moral and political bankruptcy of the EU. So far, Member States were willing to relocate about 750 people per month as part of the EASO run program. Refugees have a hard time trusting a European institution and there is minimal response of the majority of EU Member States to react to a humanitarian crisis in terms of channelling refugees out of the camps and shelters in South-Eastern Europe with a chance to start over with us. Caught in the middle is a tiny EU Office on the fringes of Europe in the Mediterranean Sea, hidden away in the rough guts of Valetta harbour, run by about 125 staff and deploying roughly 400 experts in the field. One could reason about the logic of a relocation program which offers candidates little to no choice to reach their destination in Europe. 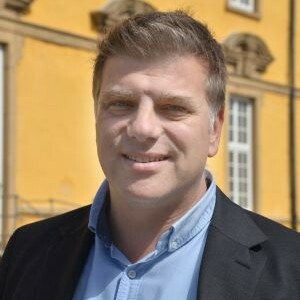 Refugees, who have risked everything to get there, who have – despite their dependence on traffickers and smugglers – made the choice to move and have displayed tremendous agency in making it so far, who have plans and visions in mind where they want to go, are suddenly asked to take a leap of faith with a somewhat uncertain outcome. You may get lucky, but you just may end up where you never intended to go. You may be granted asylum, but you may as well be among the 25% who do not and inevitably find yourself registered in EURODAC with no escape. Tough choice when seeing things that way. Agencies in resettlement programs after the Second World War knew better. They faced the task to repatriate, resettle or integrate millions of uprooted people who survived persecution, deportation, exploitation and the Shoah. These agencies bartered with countries worldwide to accept these displaced persons (DP) as immigrants and they negotiated with DPs the choices they had. That was not easy as well. But even though DPs often found themselves on the shorter end, both sides needed to compromise. In a way, the procedure offered at least a chance for choice and agency and somewhat more transparent pathways. Yet there is another disturbing impression EASO left on us. What about conflict of interest and division of power within the EU administration? Naturally, it seems, EASO – which flags the motto “Support is our Mission” – works closely with EURODAC. The office also acts in close cooperation with FRONTEX. In our discussion, FRONTEX is called a “sister agency” of EASO, and “protecting borders” and “protecting people” are seen as two sides of the same medal. While border control and registering migrants in compliance with national and international as well as humanitarian law are acceptable, clear cut lines between fending off, controlling and supporting refugees within the EU structures might be a good idea to win refugees’ trust. Unless of course, EASO-“support” refers solely to the support of EU Member States to install effective processing, and “protecting” refers to their European societies closing their eyes to human suffering while going adrift towards a waterfall named racist bigotry and nationalistic populism.